When the guys at NSMD magazine heard about the restoration of my 3 Top Hat sets they requested an article about the whole process. 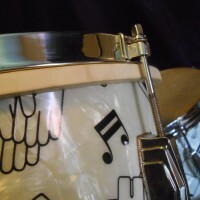 This is the kind of things that vintage drum fans (like me) go crazy about. The article just came out. It was fun to write. I found myself in awe of the photos. 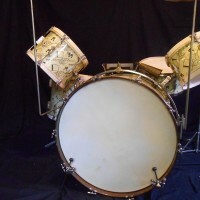 These drums are over 70 years old and they’re gleaming the the day they left the factory. 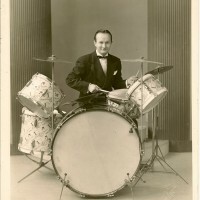 There’s some great history behind these old Top Hat sets. and some great historic photos. Here’s a link to the article in Not So Modern Drummer Magazine.